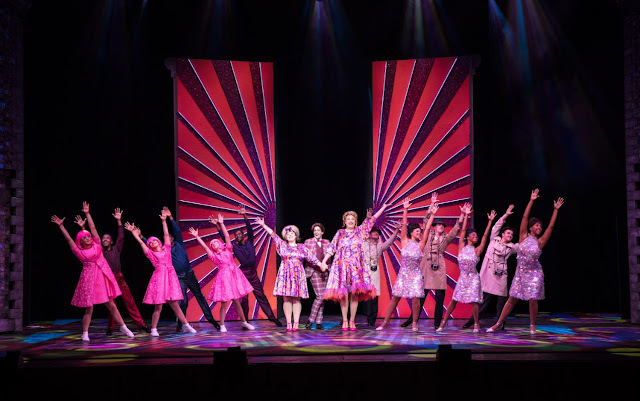 REVIEW | Hairspray UK Tour. 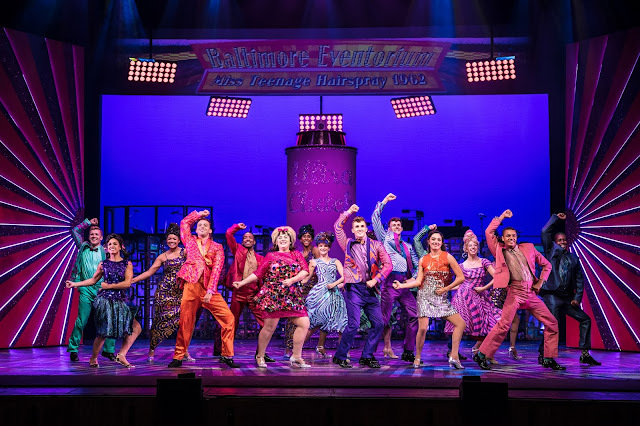 Hairspray is an iconic musical in its own right and the feel good, a thrilling piece has circulated through many productions over the years, even in 2016 with a UK tour. The musical production has all it should have to be a brilliant night out a quirky, tongue-in-cheek script, exciting choreography but also a cast of triple threats unlike no other. Whilst it may seem that it's a musical that is overdone, this 2017 cast has proven why it's still enjoyed by audiences throughout the country. The story is set in 1962 where young Tracy Turnblad (Rebecca Mendoza) proves that being a big girl, with an even bigger heart can't stop you from pursuing your dreams. Tracy is determined to make it onto a popular teen TV show and win over the heart of teenage heartthrob Link Larkin (Edward Chitticks). Along the way, Tracy is confronted with continuous sneers from Amber Von Tussle (Aimee Moore) as well as wanting to create a change in segregation of race on the TV show. The topics of race, culture, class and acceptance are the backbone of this play, its issues as relevant back in the 60s as they seem to be now. Layering up with the addition of extraordinary choreography and a 5* cast. Tracy's parents Edna (Matthew Rixon), who is a huge presence from the beginning (and so confident in heels!) is complemented well by her partner Wilbur (Norman Pace) whose charm warms the heart. Their rendition of You're Timeless to Me is a truly beautiful piece that brings out the best in their relationship. Brenda Edwards is a force to be wreckened within her role as Motormouth Maybelle. The strength in her characteristics and vocal range, particularly in her solo number 'I Know Where I've Been' are spectacular and the audience roars in appreciation of her power. 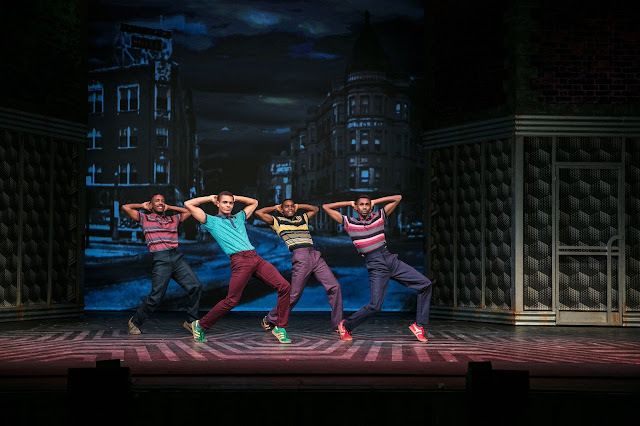 Seaweed's character, although usually in the forefront, is packed with a punch under the direction of Layton Williams, known for his character's own individual dance flare. He completely commands the role with his fun, energetic attitude and it's hard not to feel wonderfully exhausted from the amount of energy he presents. Tracy Turnblad is a character that demands a lot from its actor, particularly in the first half when she barely leaves the stage, but Rebecca Mendoza does a brilliant job in the title role, and also her professional debut. Her vocal range is flawless, as well as having both the sassiness, confidence and humour needed to execute this role. The production also recognises other incredible talents starting out in professional debuts with Tracy's best friend Penny Pingleton (Annalise Liard-Bailey), a remarkable voice and delightful knowing innocence makes her a real delight to watch. The only downfall is the set, which is slightly sparse and dull, at times slightly clumsy and did dampen some of the sparkles of the production. It definitely makes up in performance and that alone steals the show. You'll definitely be dancing along to You Can't Stop The Beat at the end and is definitely worth a watch!